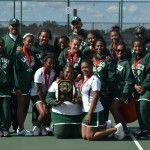 Cass Tech High, powered by gold medalists in three of the four doubles matches, won its 16th consecutive Detroit Public School League Division I girls’ tennis championship Thursday at Barcus Tennis Center. The Lady Technicians scored 16 points to finish just ahead of Renaissance. The second-place Lady Phoenix had gold medalists in two of the four singles matches and another at No. 1 doubles to finish with 15 points. Western, with two singles victories, placed third with nine points followed by King fourth with two points, Denby and Ford tied for fifth with one point each and Mumford didn’t score. Renaissance senior Lisa Thomas repeated as No. 1 singles champion with a 6-0, 6-1 victory against Cass Tech senior Gabrielle Deshazer, and Renaissance junior Cherise Strickland beat Cass Tech freshman Nacala Brandon 6-3, 6-1 to win at No. 2 singles. Western senior Ofelia Tinico defeated Cass Tech senior Shanene Frederick 6-2, 6-4 at No. 3 singles, and Western junior Vanessa Toral won in three sets against Renaissance sophomore Brianna Brydie 3-6, 7-6, 6-2 at No. 4 singles. Doubles champions included Renaissance sophomore Mallory Hardaway and junior Olisa Philyaw, who defeated Cass Tech sophomore Tyra Webb and junior Jennifer Ude 6-3, 6-4 at No. 1; Cass Tech juniors Elayne Elliott and Essence Patterson, who defeated Renaissance juniors Micah Griggs and Christian Dowell 6-2, 6-4 at No. 2; Cass Tech juniors Rekymdria Vaughn and Louise Kaufmann defeated Renaissance juniors Antoinette Wade and Jasmine Garrett 6-3, 4-6, 6-1 at No. 3; and Cass Tech junior Alexis Hamilton and freshman Carlie Cooper defeated Western senior Stephanie Betancourt and freshman Deborah Olea 6-2, 6-2 at No. 4. PSL All-City honors were accorded the 24 gold and silver medalists. 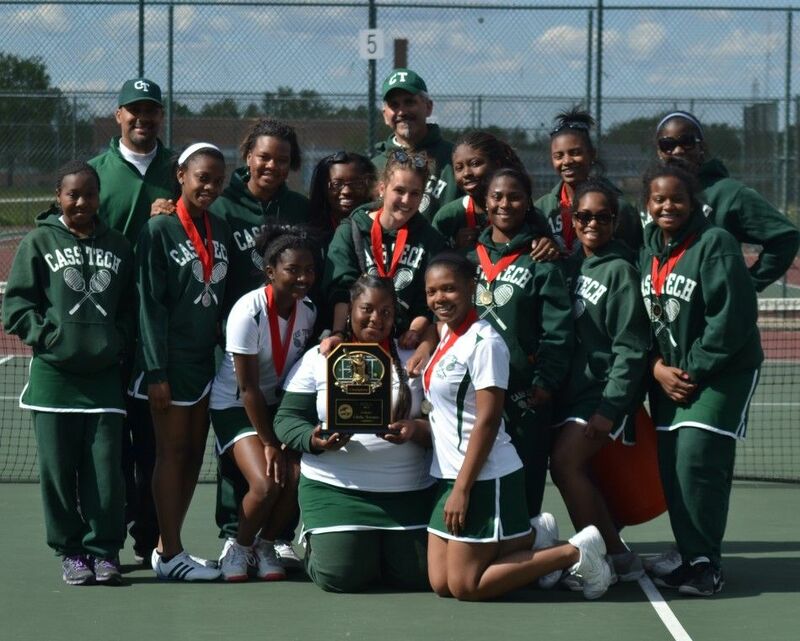 Photos of all the medalists can be found on the Detroit Public School League page on Facebook.